We are located on the NORTH-EAST side of Columbus, Ohio in a suburb called Gahanna. 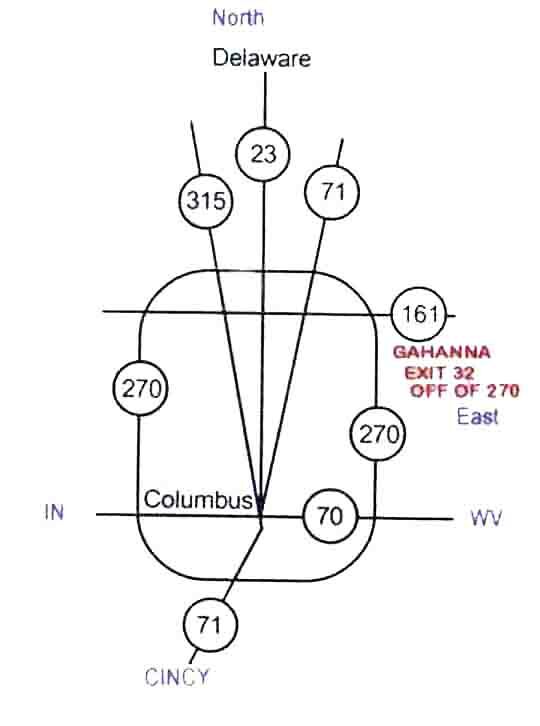 There are many ways to get to us, but if you follow these directions from I-270 YOU WILL NOT GET LOST. We do NOT suggest Mapquest or GPS devices except to find approximate driving time. Their directions are harder than ours! Hotel information can be found at the bottom of this page. 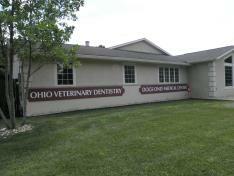 We are located inside the Dogs Only Medical Center. "Thank you so much for taking care of and helping Macy to live a more pain free life. All of you did a wonderful job and made an unpleasant circumstance as bearable as possible. You should all be proud of the work you are doing and know that you are appreciated." Melissa H.
Take Exit 32- Morse Rd. Continue east on Morse to Hamilton Rd for 2 miles. Continue through the Morse Rd/Hamilton Rd intersection. There will be a BP gas station on the left and a Shell gas station on the right. Continue on Morse Road for 0.3 miles. We are located on the right between the Polo Club Villas and the traffic light at the Residences of Gahanna. Turn LEFT onto Morse Rd. (heading East) go under the overpass(if you see Sam's Club & Walmart then you are going in the wrong direction). Allow approximately 15 minutes to get to us from any of these hotels. Baymont Inn (off of 270 North side of town at Westerville exit) 614.890.1244. Similar to a Red Roof Inn. Walk up to the outside door. To get to us, get back on I270 and go south toward Wheeling. Red Roof Inn (2449 Brice Road, Reynoldsburg, OH) 614.864.3683. Walk up to the outside door. To get to us, get back on I270 and go north toward Cleveland.